Many different mods have been and are being made for the Galaxy Nexus and Android 4.0 and the latest seems to be Browser+. 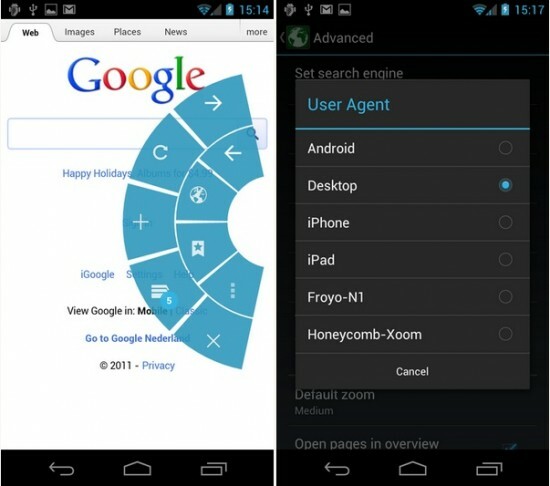 Browser+ is based on the ICS browser and adds a couple new useful features with more being added over time. For starters, we’ve got a User Agent feature that allows you to switch between a number of different UA strings. The original browser already has an option for requesting the desktop version of a given site but being able to specify other devices is a pretty good deal.